Have you guys ever seen a banana tree in real life? They’re kind of freaky looking. I think I’ve seen them before when I was a kid visiting Thailand with my parents, but I must have put them out of my mind because of how strange they look. I saw a bunch of banana trees recently in Hawaii, and even here in LA and they’re just as scary as my five-year-old self thought they were. I can’t imagine who saw bananas and thought they would be good to eat. I’m guessing we can thanks our monkey friends for figuring that one out. Speaking of monkeys, do you know that they like to peel them from the “bottom” end – opposite the stem? I forgot who taught me how to do that, but it’s the only way I open bananas now. I like the built in handle that you can hold on to and when you open them from the “bottom” end, which is actually the top, if you’ve ever seen a banana tree, the fruit inside doesn’t end up mushy or bruised. Then again, sometimes all you want are mushy old bananas. Especially when you’re going to make banana bread. 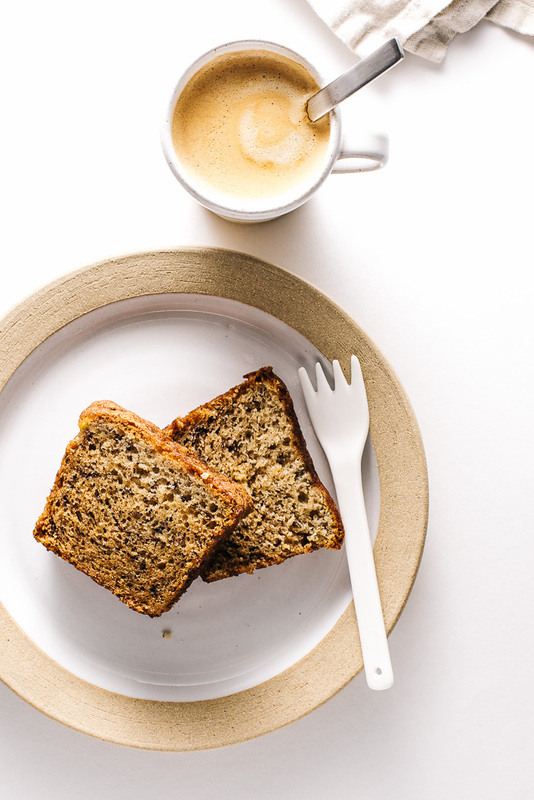 I’ve written quite a few posts about banana bread – apparently I’m pretty passionate about it – and if you’ve read any of them you know that I’m on a quest for the ultimate banana bread. 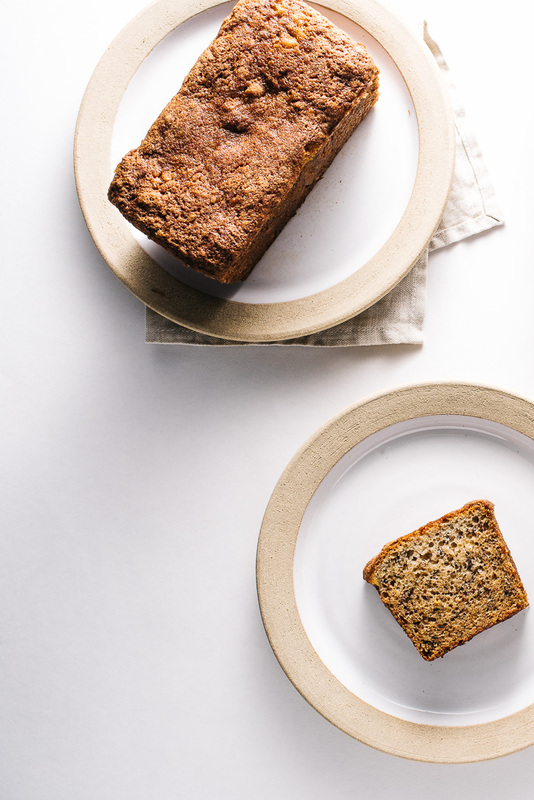 I’m forever asking people what their favorite banana breads are so I can test them out. Alana gave me a heads up for this recipe and I couldn’t wait to give it a go. I thought it would make a sweet gift for one of my close friends – she’s a banana sweets fiend (her fave is banana cheesecake from The Cheesecake Factory) and she just had an adorable baby boy named Oliver. This loaf was almost everything I dreamed. The flavor was intensely banana-y and the crumb was small, tender and moist. The only thing missing was a domed top. To me, flat top loaves just don’t have that same appeal. If I could figure a way out to dome this baby it would be the ultimate. In any case, it’s still my current top banana bread and that’s saying a lot, coming from me! With the rack in the center of the oven, preheat to 325°F. Lightly butter and flour pan(s) of choice. Sift together the flour, baking soda, cinnamon and salt in a bowl and set aside. With a stand mixer fitted with the whip attachment, beat together the sugar and eggs on medium speed until light and fluffy, about 5 minutes. Switch to low speed and slowly drizzle in the oil, taking your time. Add the bananas, sour cream, and vanilla, and continue to mix on low speed just until combined. Use a rubber spatula to fold in the flour mixture until thoroughly combined. No flour streaks should be visible. Pour the batter into the prepared loaf pan(s) and bake for 1 to 1 1/4 hours for a 9×5-inch loaf, and about 50 minutes for three 6×3-inch loaves. The loaves should be golden brown on top and the cake will spring back when you press it. Let cool in the pan on a wire rack for 30 minutes, remove from the pan and let cool completely on the wire rack. Enjoy! I love their Banana Bread but their sticky buns are just amazing. It’s very dangerous living around the corner from a Flour Bakery. ooh i love this bread! i’ve made the recipe before; it’s delicious, but i agree with you about the domed top. it needs that cuteness! LOOKS SO FREAKIN’ GOOD!! Def one of my favorites!! Hi, I think this cake looks lovely, maybe daintier than if it were domed but that’s personal ^^. I’ll have to try your recipe since I love banana bread and I’m always looking for the perfect recipe too! Oh love this recipe. When I first heard it was the best I was a non-believer. But really, it is the BEST! After living in Sydney for three years I have become a little obsessive about banana bread too. It is its own food group in Australia! So I am super keen to try a new improved recipe. Thanks for posting. Always love your luminous photography. Very inspiring Steph. Cheers. Try adding baking soda or baking powder (or a combination of both) for a better rise and thus a domed top! 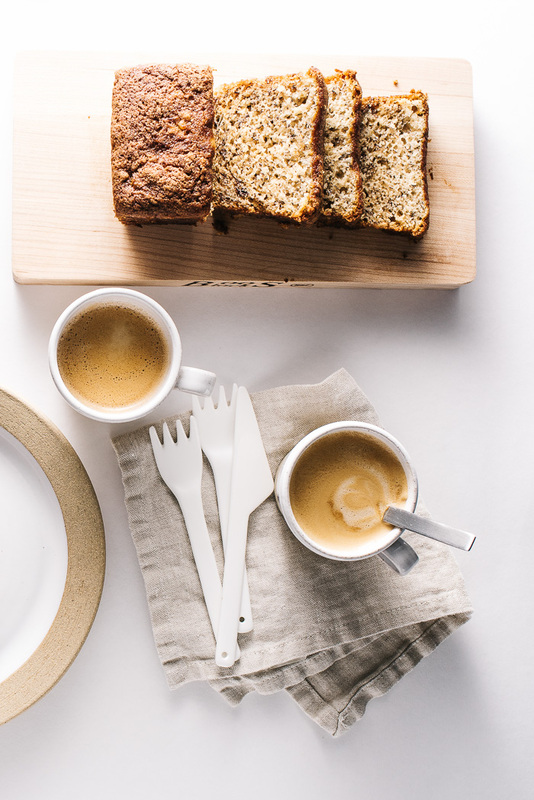 I’m a big fan of banana bread and can’t wait to try this recipe! 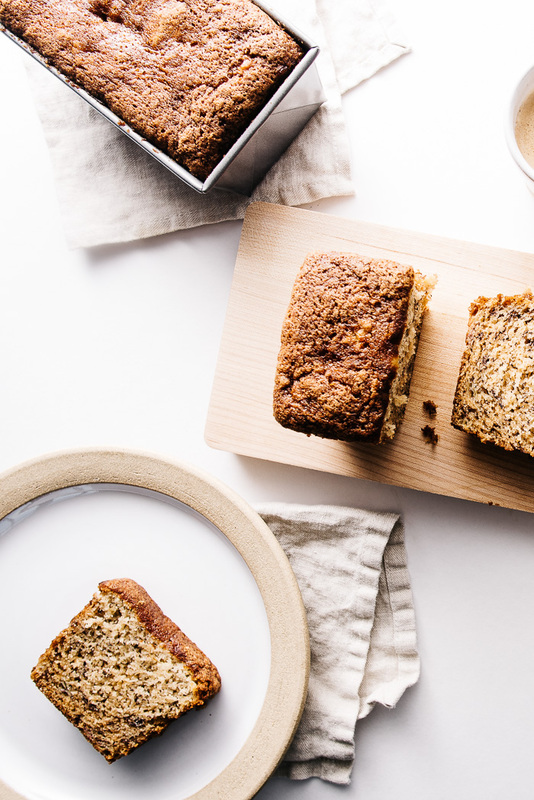 I’ve tried at least 10 different banana bread recipes over the years, and this is my go-to. After the first time I made it, my boyfriend literally went to the store the next day and bought more bananas just so I could make it again. I actually get a domed top every time, so I’m not sure what you’re doing differently. It’s the ultimate in my book. I am going to try this with a gluten-free mix-almond, sorghum, and buckwheat flours that I make myself. I will keep you posted. I really miss banana bread. that step of whipping the sugar and eggs for 5 minutes is crucial and what’s missing from other recipes. So good. I made this with my kids and we put about 1-2 tablespoons of chocolate chips, just because. It came out fantastic! You need to try this recipe. It is not from someone rich and famous. It is from my kitchen and always receives raves. Mix together with a whisk. Do not over do it. Bake at 375° for 20 minutes (muffins), check with toothpick to be sure they are ready. A loaf will need to bake longer. I usually begin checking at 35 minutes. Cool in pan for 15 minutes and then turn out on a towel. Sorry. This ran the topping and recipe together. I am not a banana bread specialist but based on my macaron baking experience, I would instinctively incorporate an Italian meringue to add air and structure to your batter: You can try to use the recipe’s egg white, part of the sugar and a little water to make that Italian meringue. The ratio for the Italian meringue would be 2 egg whites (44g) to 120g sugar to 44g water. 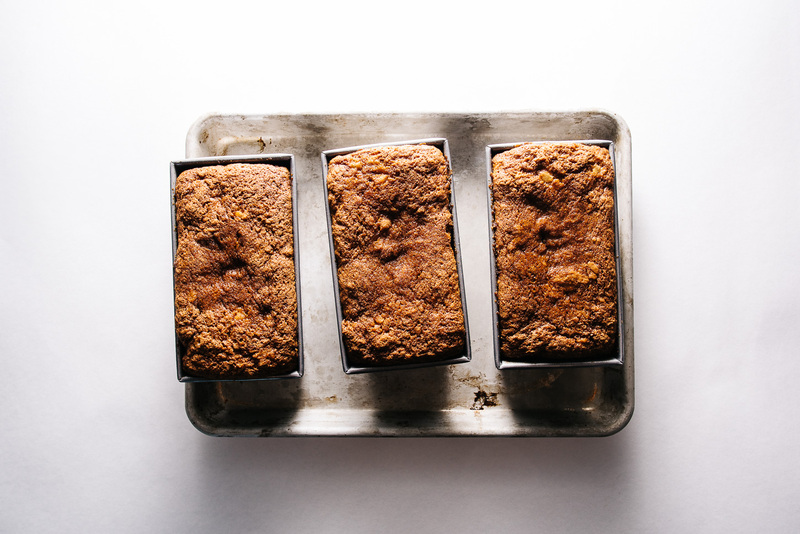 If you feel strongly about banana bread shape, you could make this recipe in a can. That’s how my grandma made banana bread. You end up with cute, round slices. I made this this morning and already more than half the loaf is gone. And the clock is embarassingly sitting at 3pm. Granted it was shared between two people, but still!! So crazy yummy! thanks so much for sharing!! It was magical. If I had more ripe bananas I’d probably try to make a second batch this afternoon!! ahaha good thing I dont! Hi, I am in love with your recipes and your photos. Can you let me know which camera you are using ? Try baking this in a rice cooker, it will have a rounded dome top when you flip it over. I used butter though, it tastes good. I haven’t tried it with oil but I will! 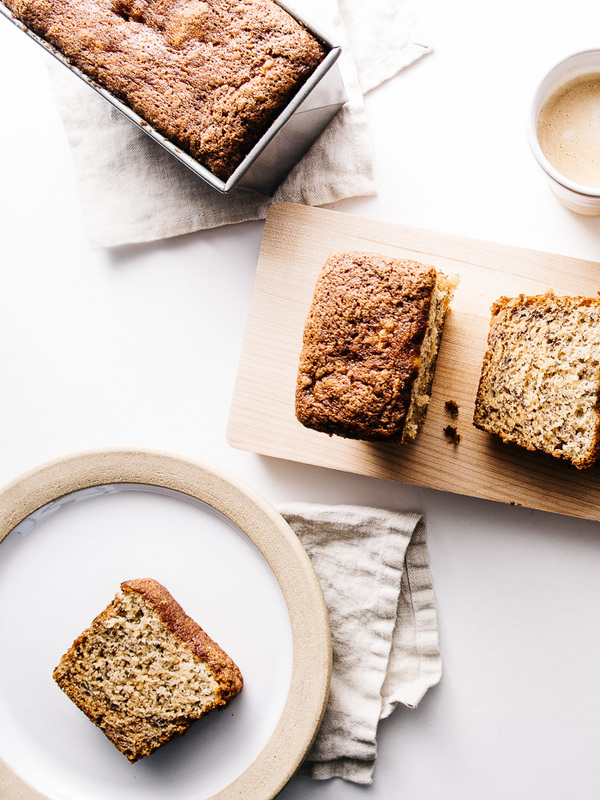 I am an avid lover of bananas, which of course includes banana breads! Can’t wait to try this !! 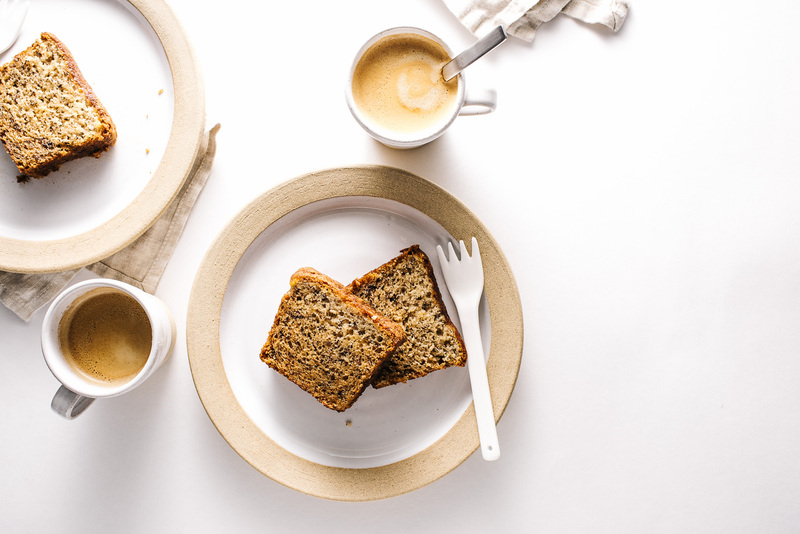 I like chez pim’s one bowl banana bread recipe, it never fails, and one bowl! I use this recipe exclusively. I’m able to dome the top every time! I fill the pan 3/4, sometimes, a tad more full. Bake an additional 15 or so minutes at same temp. Toothpick in center comes out clean, it’s done! Crispy muffin top, every time!People rave about the crispy top all the time. I’ve made this banana bread so many times. And then I tried and switched to a different recipe, and my husband was like.. meh. Haha! Usually he would eat the entire loaf in one go—but he barely even touched the other one. So it’s proven. 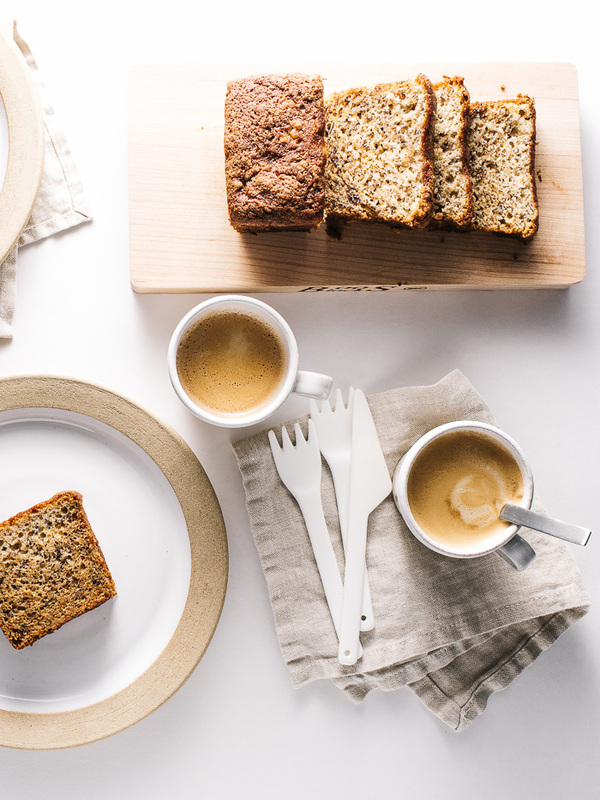 This banana bread beats all. I made this recently and it was so moist and delicious my friend. I too had a flat top, it was domed when it came out if the oven but then deflated during cooling. Thanks for the recipe – this is a keeper! i just went to flour bakery and i’m happy to report that their banana bread is flat on top too! :) glad you liked the recipe! Absolutely amazed at how well this recipe turned out! 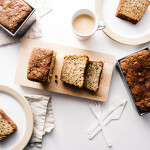 I have made many a banana bread in the past, but I have to say, this is hands down the best! The hubby even said it beats the banana breads from Hawaii! Love the recipe, definitely a keeper! I followed the recipe pretty much to the dot and baked in a 9×5 loaf pan for about 1h 5 mins. I have tried making this bread twice now and each time it falls in the center. So frustrating. I live at 5,584 ft elevation. Is there an adjustment to the recipe that I should be using? 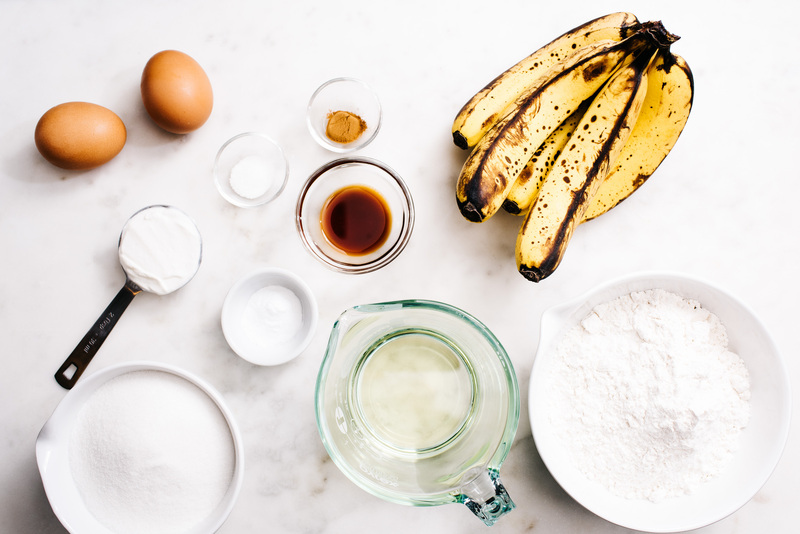 Other recipes for the same Flour Bakery Banana bread calls for the oven to be set at 350 degrees and baking for an hour. Others say 325 degrees for 75 minutes. I have used glass as well as the metal loaf pans, bread flour as well as unbleached flour to no avail. I love the taste but have to throw out the center because it is still too mushy. Any suggestions? i haven’t baked at high elevations before but i think maybe increasing the temperature and baking longer might help. also, this recipe definitely has a very light and airy batter, so make sure you take the time to whip the eggs light and fluffy and drizzle in the oil very slowly. 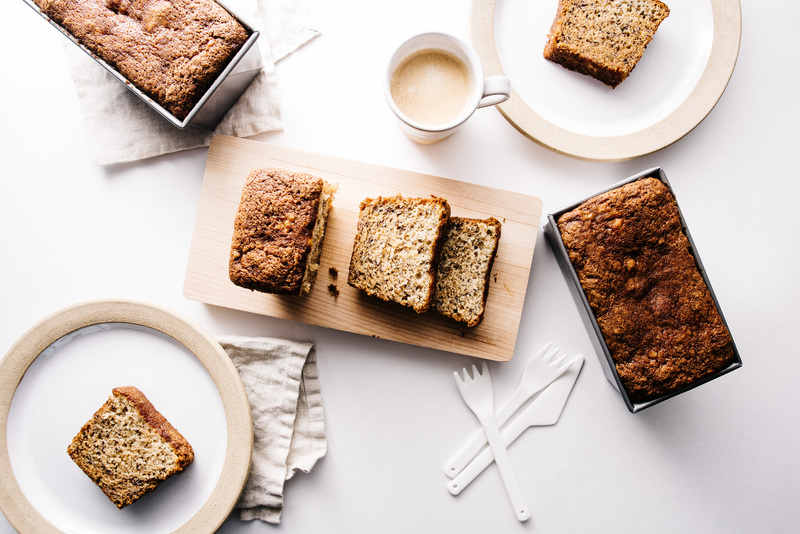 i’ve also heard that when you bake at high elevations you need to decrease the sugar by a tablespoon or two, but that will definitely change the flavor. Cookies and Cream Affogato and a Giveaway!